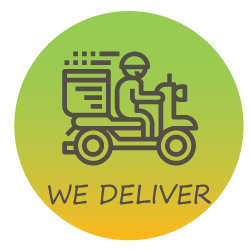 Cibo Meals – Buon Cibo! MEALS IN A MASON JAR! Creative Recipes. Cooked. Delivered. Done. 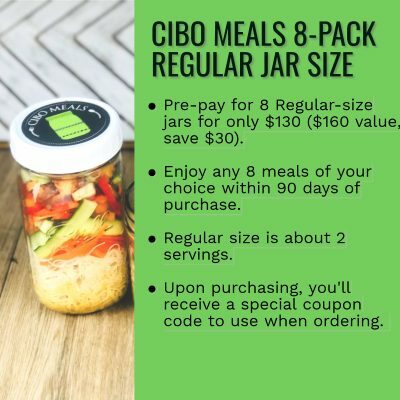 Cibo Meals creates exciting, ready-to-eat meals for busy people. 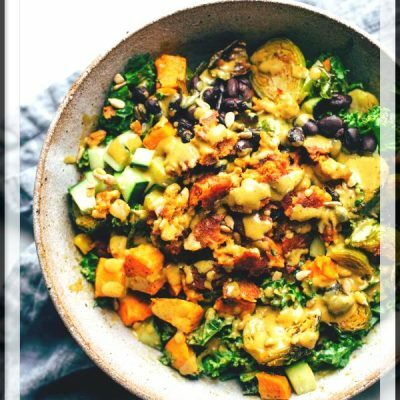 Order from two creative vegetarian meals every week. 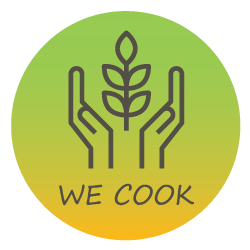 We cook your meal fresh in small batches and package in Eco-friendly Mason jars. Enjoy your Mason jar meals for lunch or dinner, with 2 convenient sizes to pick from. 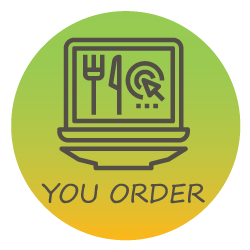 Just click on the image below for more information and to place your order! 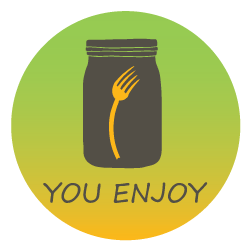 HAVE OUR MASON JAR MEALS DELIVERED TO YOU! 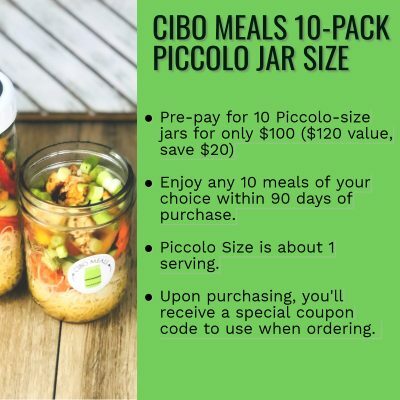 I have been ordering from Cibo since before my 2 month son was born. It has saved so much time during our struggles trying to get pregnant. I was able to eat healthy while working full time. Now, I can continue to eat healthy while spending time with the little guy. I especially appreciated the nutrition facts while I was dealing with a gestational diabetes diet. This service has been a life saver. Truly! 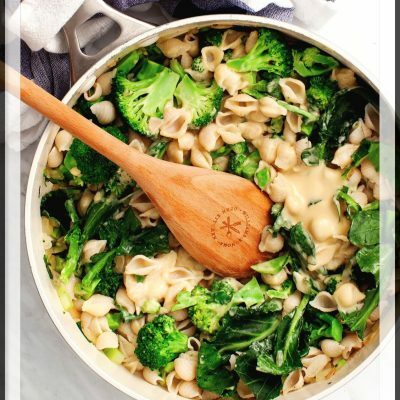 Looking for a healthy meal that doesn’t involve lengthy trips to the grocery store, confusing recipes or a membership? 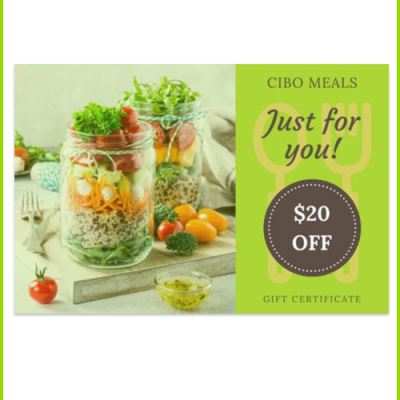 Cibo Meals offers pre-made vegetarian meals with new menu items weekly and available in two sizes. [Emily] does wonderful flavor combinations and offers a great value for the quality of her product! © 2017 Cibo Meals - All rights reserved.